Today we’re going to be covering some significant improvements we’ve made to gameplay. 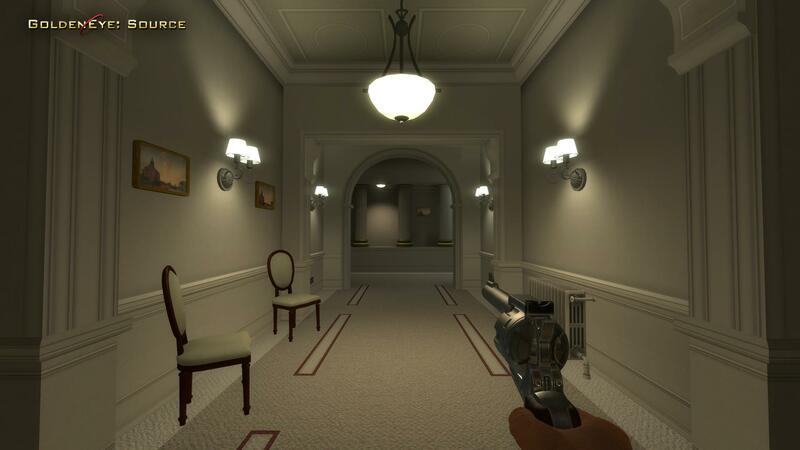 Whilst we have always received praise on our faithful recreation of iconic elements of GoldenEye, we’ve always recognized that there was room for improvement. Our biggest priority with this version of the game was finally nailing down all the shortcomings of our previous core gameplay to give a more engaging and fun experience that rewards multiple playstyles. The first of the mechanics we took a long hard look at was invulnerability. 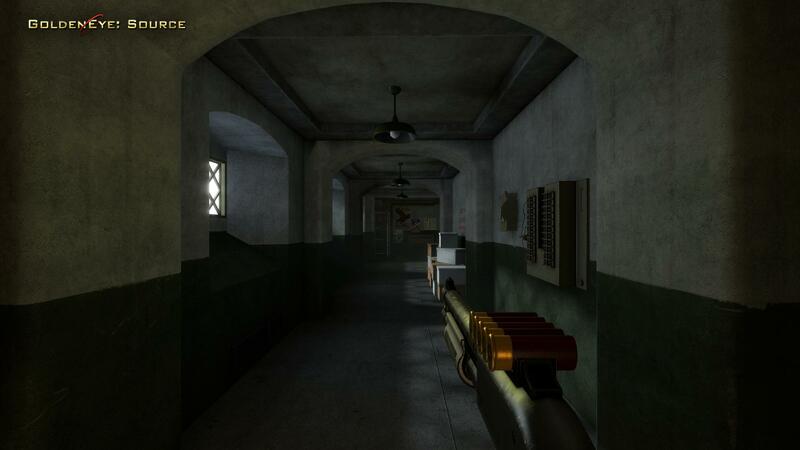 There were some positive effects it had on gameplay as a mechanic based off of the original game, but the implementation in past versions of the mod limited the amount of viable strategies in a firefight, took depth away from the game, and could make players not aware of it feel that the hit registration was poor and unresponsive. For these reasons we have reworked the mechanic extensively. It is no longer the defining combat mechanic it was in in past versions of the game. The new implementation of invulnerability now only limits the damage that a given weapon can deal per 0.5 seconds capping out at its original damage values. This means weapon balance is mostly unchanged, however, automatics now reward careful aiming much more than before. Invulnerability still protects you in cases where multiple people target you at once which was it’s original intention. Another big gameplay change in 5.0 is to player movement. 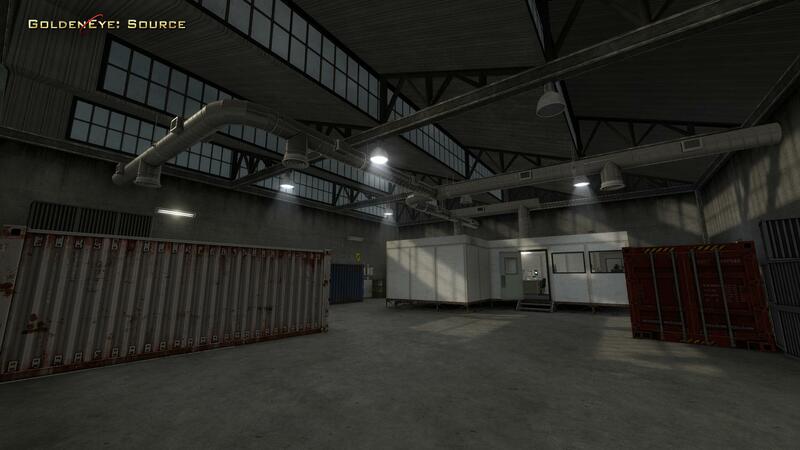 For a long time we had always wanted to depart from Half-Life’s movement and give it a more unique and enjoyable feel. 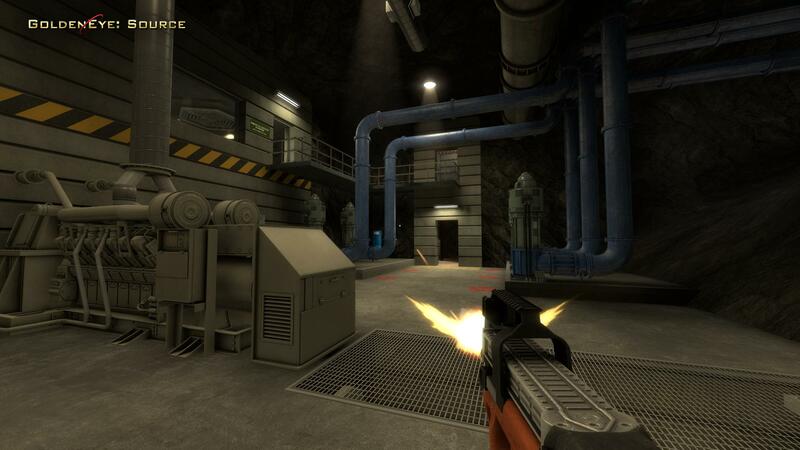 For 5.0 not only have we increased player speed significantly, but we have also once again taken inspiration from GoldenEye and have brought strafe running into the mod as a movement mechanic. 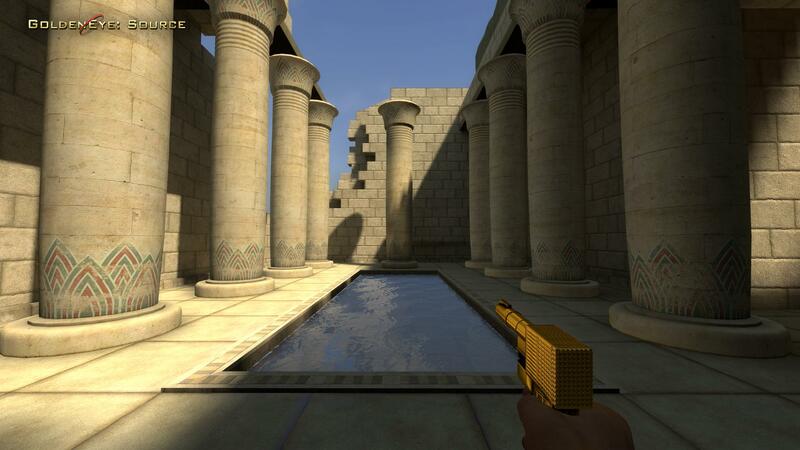 Faithful to the original game, strafe running allows you to run 40% faster while moving diagonally. To perform a strafe run you need to maintain diagonal movement to accelerate to top speed. If you turn too sharply you will lose momentum and return to your regular speed. 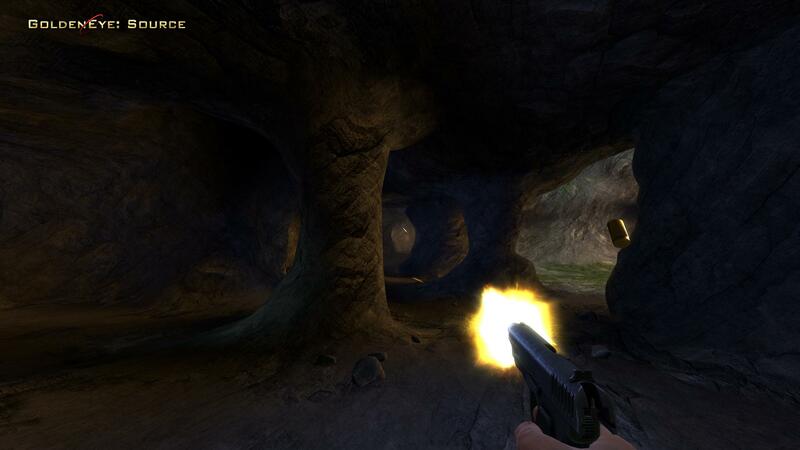 With those new gameplay elements implemented, it would be best if you were able to test them out in a new location. Nowhere in the world showcases these changes better than a disused military depot. 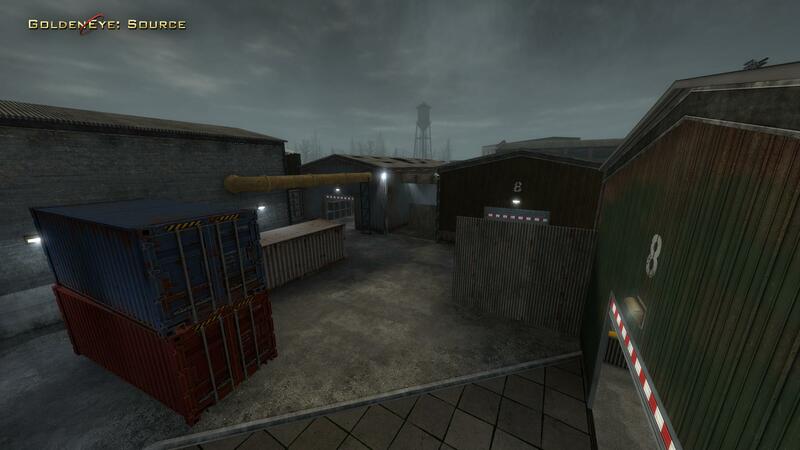 In development for many years, Depot had been passed between multiple level designers before Adrian, starting from scratch, finally brought the map to life. 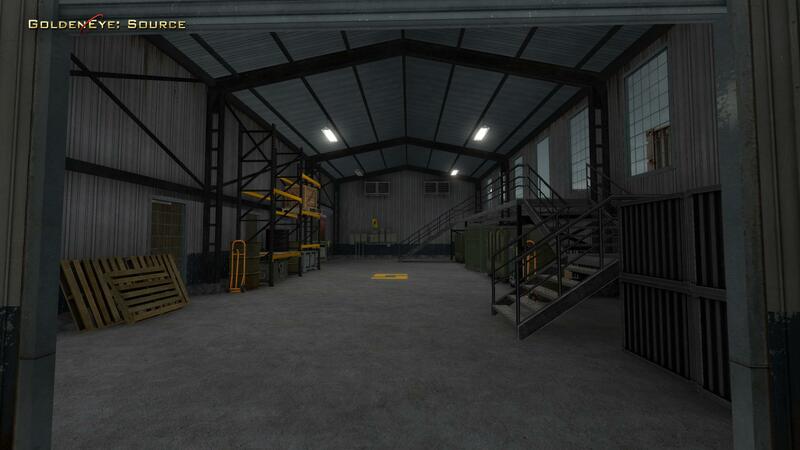 “Reinventing Depot as a successful multiplayer arena for the game proved to be quite a challenge, but it’s my pleasure to finally unveil it. I was fascinated with re-imagining the ominous Janus base of operations in St. Petersburg and fleshing out the details of the place. 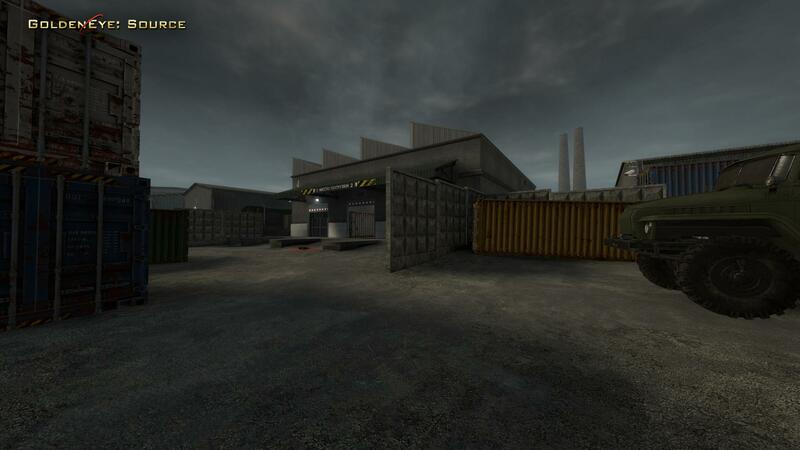 Many of the iconic locations make a welcome return, including their weapons cache that could outfit a small army and their makeshift server farm. 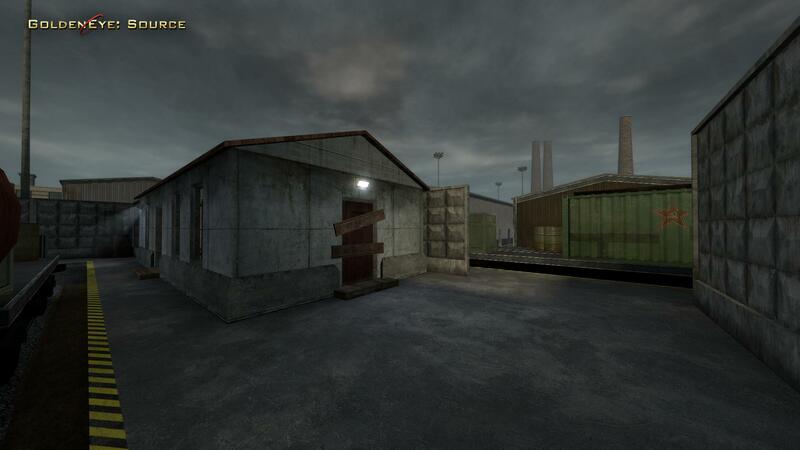 As with all of our neo maps, changes to the layout were in order for a suitable multiplayer environment. Most notably you’ll find an open rail line that now runs through the middle of the map. This was originally just a small fenced in yard with dead-end alleys in-between the warehouses. By opening this up, it introduced more interesting gameplay opportunities and additional escape routes from intense firefights. Rather than sticking with a labyrinth of empty warehouses, I took the liberty of transforming warehouses into something more sensible, including repair bays, train sheds, an expanded server farm and so forth. Additionally, the final section from the original level has seen a complete overhaul. 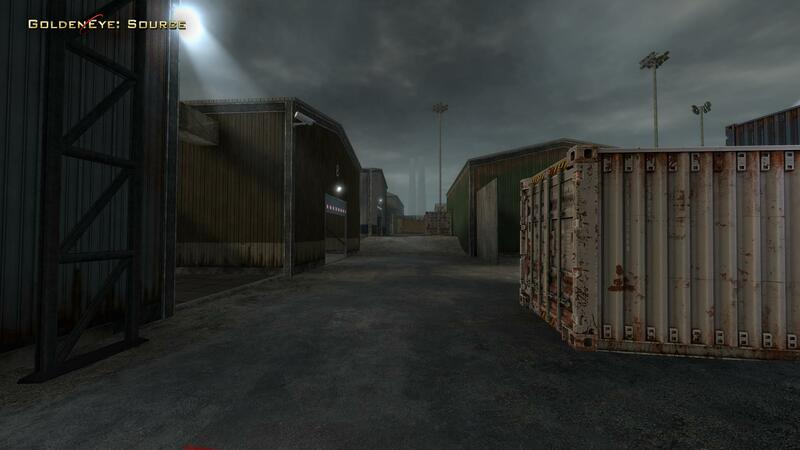 I chose to swap out yet another warehouse for a large fuel depot, and what used to be a decorative but useless cabin is now a security checkpoint. While gameplay has been changed to feel even better, the weapons have also received a significant overhaul both visually and functionally. Almost all have received a full update including new models, sound effects, animations and particle effects. One of the big issues in the past was that weapons were all very similar mechanically. With all guns the ideal strategy was to fire short bursts and always aim for headshots, but in 5.0 we have given each weapon its own niché. Weapons will now dryfire when attempting to shoot after the magazine runs out, causing careless shooters to be punished with a delay before reloading. Primed Hand Grenades will now drop if a player is killed after they pull the pin. Players can now walk or crouch past Proximity Mines to avoid triggering them. Mounted shotgun shells now accurately represent your reserve ammunition. Throwing Knife and Slapper hit detection has been rewritten to be completely reliable. 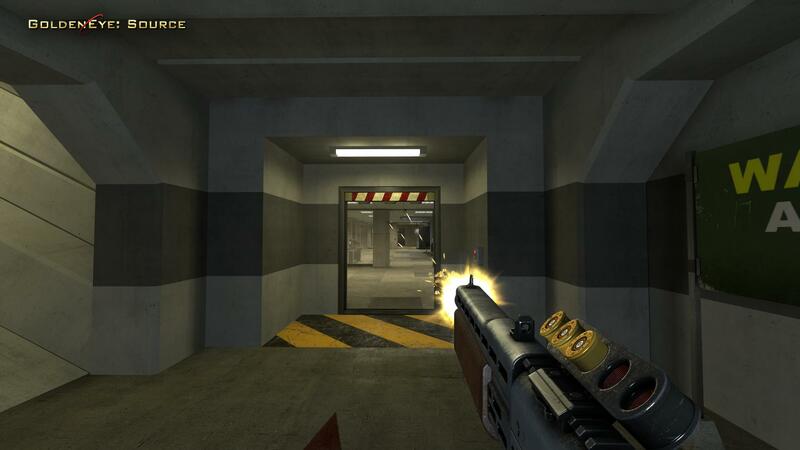 Automatic weapons now reward run-and-gun gameplay so long as you can sustain fire on targets. All melee weapons have had a damage increase and players will no longer spawn with the Hunting Knife; it is now a weapon that must be picked up. Silver and Gold PP7 now use Magnum and Golden ammo respectively for higher ammo scarcity. Holy crap, those weapon models :O!!!!! Holy crap, those maps :O! HOLY SHEET!